First published in 1930. The wandering Jew is a very real character in the great drama of history. He has travelled as nomad and settler, as fugitive and conqueror, as exile and colonist and as merchant and scholar. Of necessity bilingual and therefore the master of many languages, the Jew was the ideal commercial traveller and interpreter. Based on the volume of 24 Hebrew texts of Jewish travellers by J D Eisenstein, this volume begins with the ninth century. After the sixteenth century geographical discoveries had made the whole world familiar to most people. Consequently, the wandering Jew becomes less the diplomatist or scientist but still remains a link between the scattered members of the Diaspora. 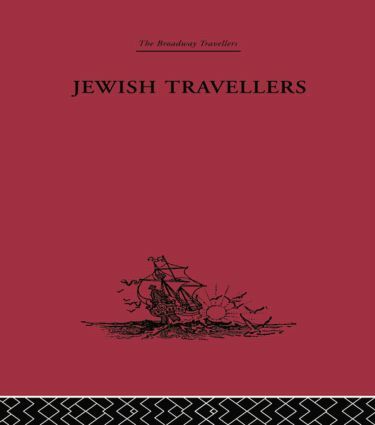 The volume ends in the middle of the eighteenth century and taken as a whole provides a survey of Jewish travel during the Middle Ages. For this translation, some of the texts have been abridged, whilst retaining many of the original notes.